Technically a remake of his own 1984 thirty minute live-action film, a homage to James Whale’s Frankenstein, this 3D stop motion version gives me a new hope, a hope that Burton can once again produce something dark yet beautiful. It’s been too long since the classics of Beetlejuice and The Nightmare Before Christmas and if you haven’t seen the oh so brilliant Vincent (1982) then do so the very second you’ve finished reading this article. It is masterfully narrated by Vincent Price and at under six minutes long it won’t take up much of your time, even after repeat viewings. So let’s hope he can let us forget about the disappointments of Corpse Bride and Alice In Wonderland (a movie I have tried to watch on more than one occasion and failed) and bring about a new era of the weird and wonderful that is, Tim Burton. Please for the love of God, no singing! I’m a little more excited about this one as it’s from the creator’s of Coraline, a movie I adore. Directors Chris Butler and Sam Fell take the helm and give us a story about a zombie-obsessed teenager entrusted with saving his New England village from the scourge of an ancient evil. The directors have described the project as being an homage to the movies they loved as kids: Goonies, Stand By Me, Ghostbusters, early Sam Raimi and even Scooby-Doo. It sounds like a great follow on to Coraline but Fell insists it’s more akin to Super 8. Expect to hear the voices of Anna Kendrick (Up In The Air), John Goodman and Casey Affleck (Oceans Eleven). Due for release September (UK). I’m excited to see this art-form is still being used even today. The old style animation (Bugs Bunny etc) seems to have all but disappeared from our cinemas and so I give thanks to these movie makers for keeping something I treasure alive. 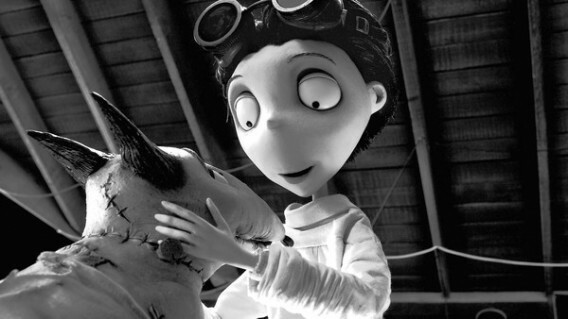 Where can I see Frankenweenie?